The Kingdom of Azedac is in trouble, wouldn’t you know it? Something about a dark mage and potentially corrupt royalty, best I could tell during my time in the shoes of Neera, hydromancer, investigator and protagonist of Neera: Dark Secrets. So what’s a girl (read: Neera) to do? Why, take matters into her own hands of course, doing her darnest to rid Azedac of whatever plague has befallen it! Thing is though, even with her rather incredible hydro-magic-or-other, Neera is still a stranger to this place, and as if that little obstacle wasn’t enough… slimes and crows have recently started attacking people for no apparent reason. Couldn’t have picked just about any other time to pay this particular kingdom a visit, could ya, Neera? So on top of dealing with figuring out what’s going on, as well as what the deal is with that old man on the beach, she now has her hands full fending off various creatures. Creatures which, for all intents and purposes, are significantly more beefy than they have any right to be. Either that or her arts is in serious need of honing, because even eliminating a tiny green slime is a daunting task. Not so much because of it chipping away at Neera’s health, mind you, as she is capable of dashing around like someone practicing for the olympics. No, the problem here is that even her most powerful spells deal very little damage, and even though her mana does regenerate automatically, this does still make combat a bit of a chore. That aside, Neera: Dark Secrets is by no means a bad game, even if its combat did dampen my fun somewhat. The Kingdom of Azedac feels both alive and colorful, almost to the point where it’s hard to see the forest for trees. And then there’s the castle. This, I suspect, is where the majority of plot points will be revealed, the world outside seemingly more of a place for various quests and other things to drive said plot. I mean… maybe? Didn’t beat the game prior to writing this article, so I could be wrong. Kinda got that weird feeling, though. 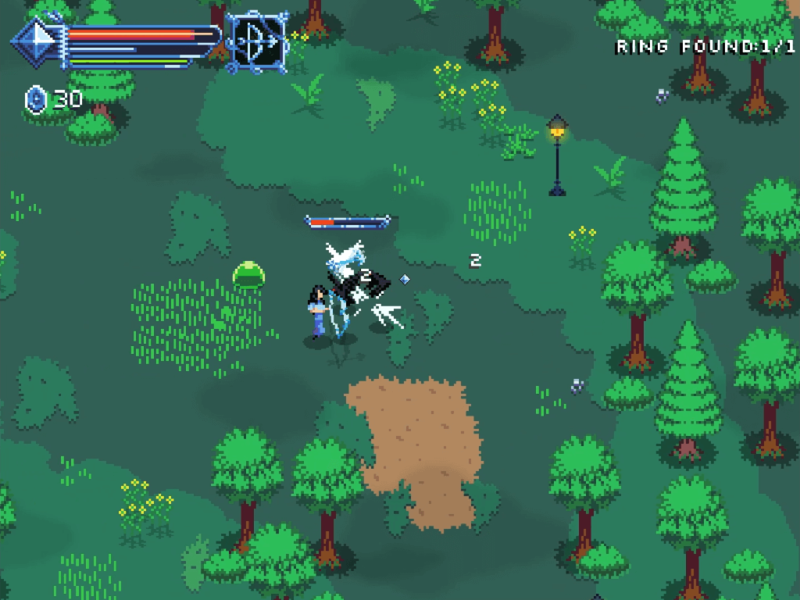 Neera: Dark Secrets is available from itch.io, without a price tag.